THIS EVENT HAS BEEN RESCHEDULED ! Learn how self-employed Real Estate Agents have completely different income tax considerations than employee taxpayers. 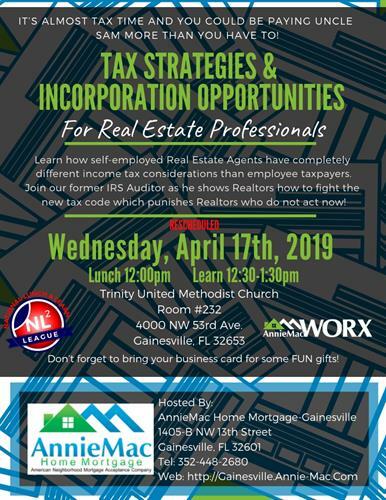 Join our former IRS Auditor as he shows Realtors how to fight the new tax code which punishes Realtors who do not act now! FREE - However, we kindly request that you register with Eventbrite for catering count. Use Link Below.